DO NOT CUT THE LOGO OR MODIFY PICTURES. 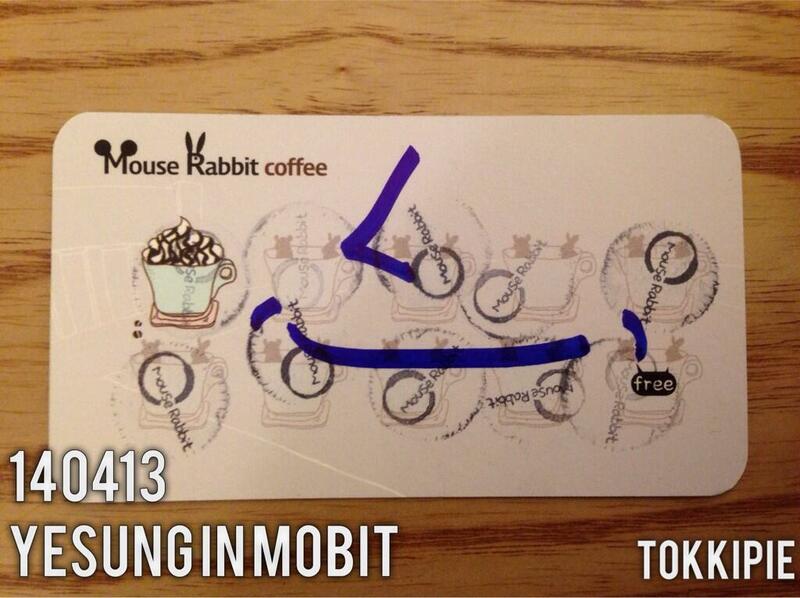 Fan told Yesung and Jongjin that Mobit was spotted on (a list at a Chinese) well-known traveling website for Korea. Yemom also looked at her screen with curiosity. 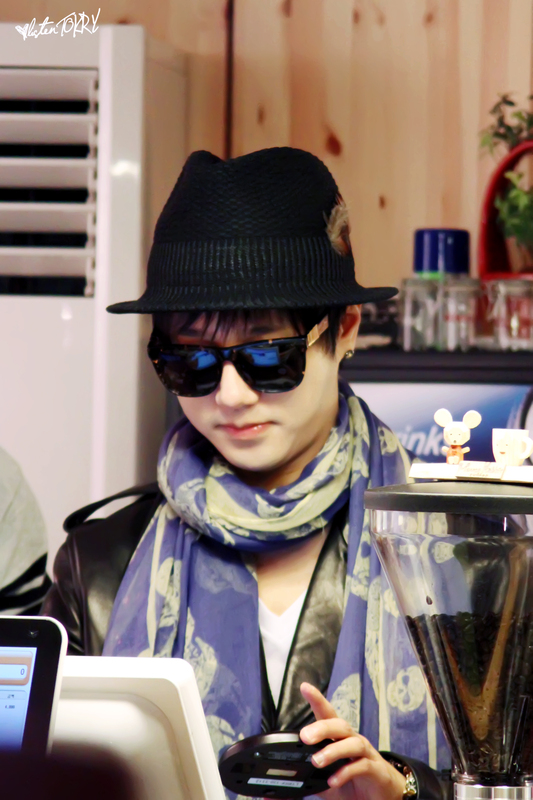 Yesung is wearing same clothes as shown on Jongjin’s IG. Few days ago he wasn’t wearing a belt, but today he is wearing it (few days ago, fan saw him been lifting his pants up). Now Jongjin, Yesung & his friends sat at the balcony. 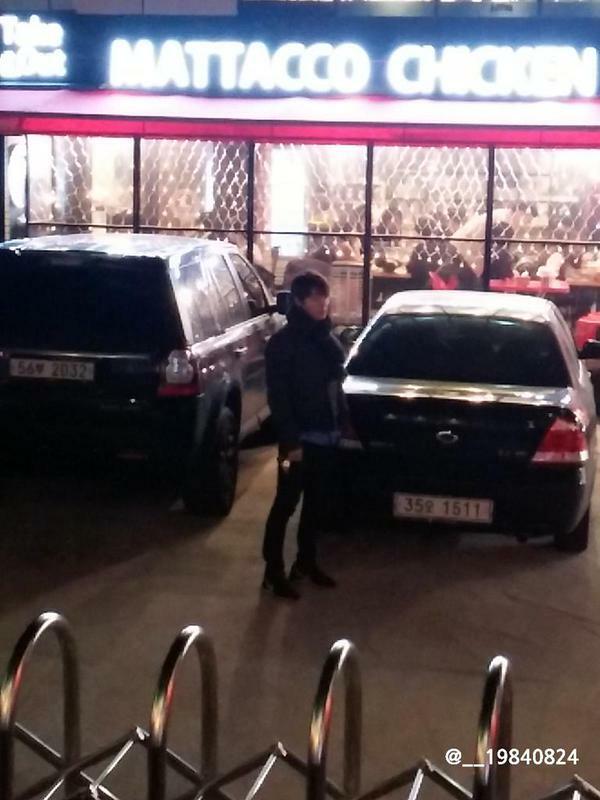 Zhoumi came to Mouse Rabbit. He is wearing a red plaid shirt, black pants, wearing his cap turned way around. 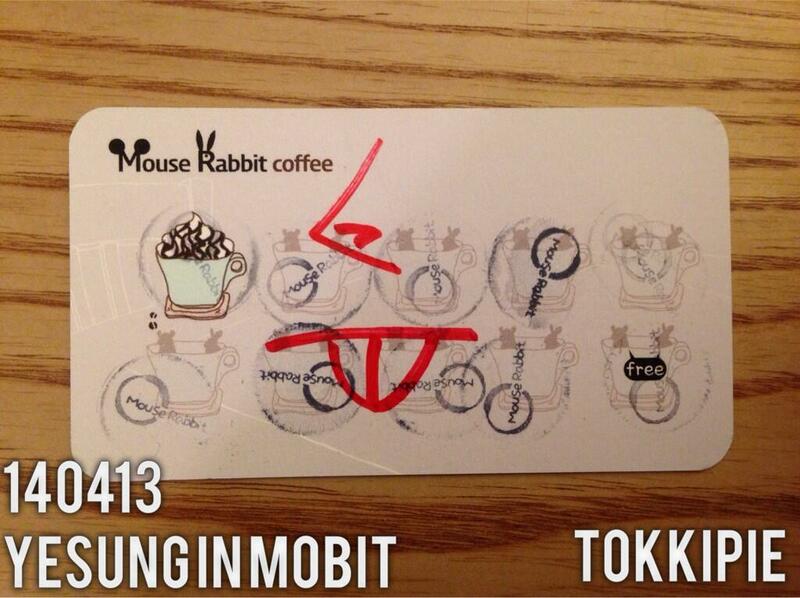 Yesung and Jongjin are sitting with Zhoumi, YS other friends might leave already. 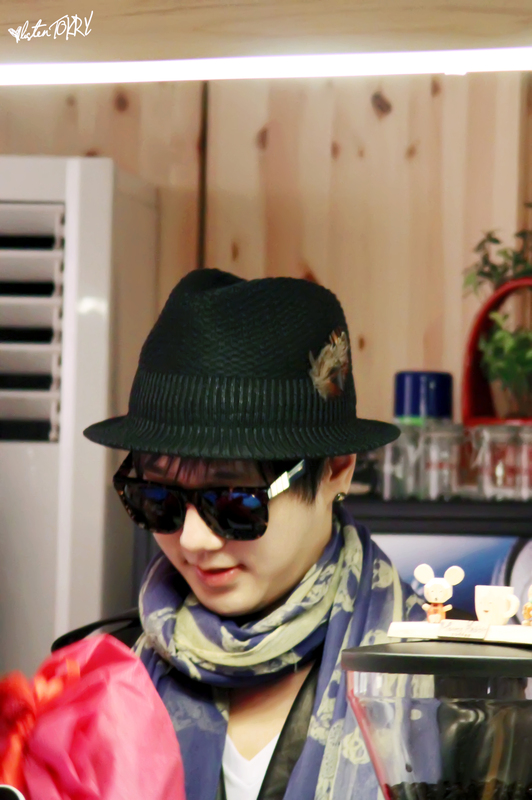 Just now, Yesung went to the counter and took a drink then gave it to Zhoumi. 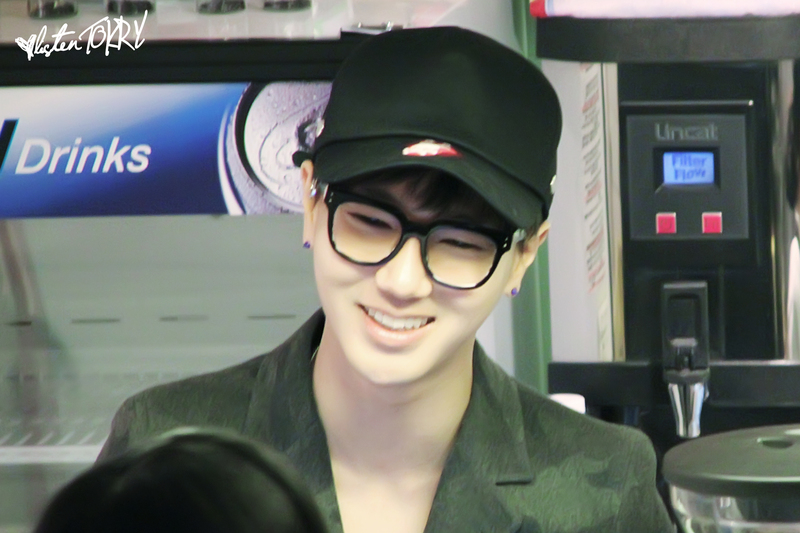 Fan gave Yesung a candy and he said “Thank you~”. Seems like he is in a good mood. 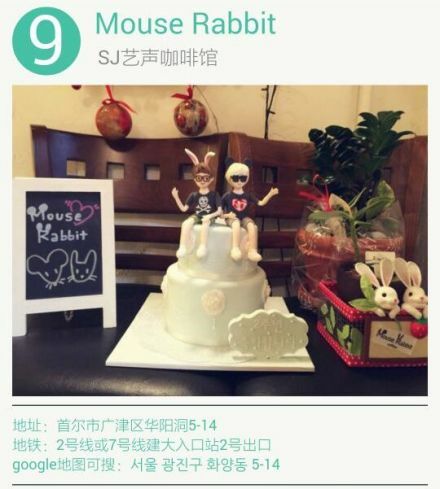 Yesung, Zhoumi & Jongjin have been chatting for a long time. They keep laughing all the time, and still laughing, quite loud. 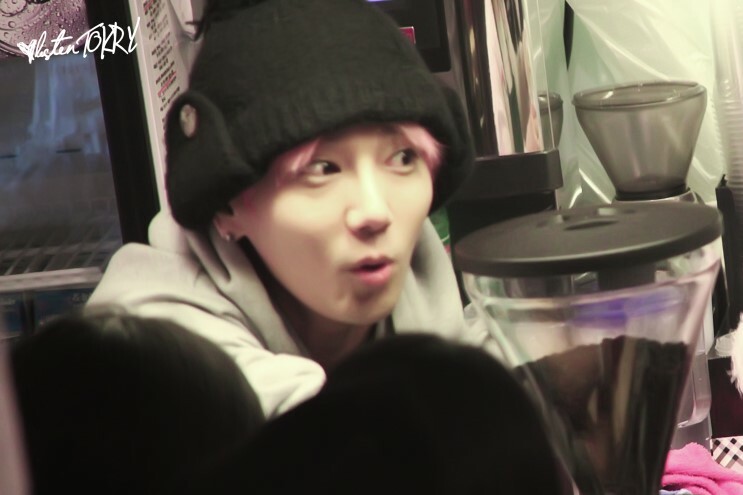 Just now, the fried chicken restaurant next Mobit played MAMACITA. 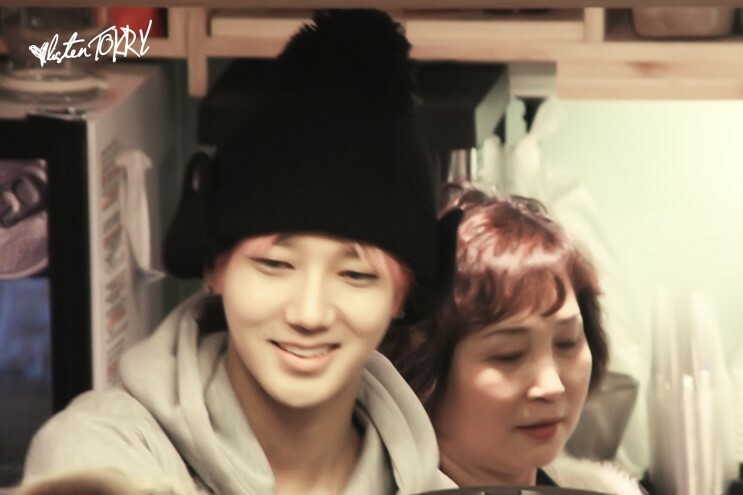 Yesung was singing along a bit. Jongjin cleaned up the table and went back to the counter, meanwhile Zhoumi and Yesung continued chatting at the balcony. Just now, Yesung, Zhoumi & Jongjin took a pic with self-timer. These people really chat a lot tonight and often laughed out loud. 사진 2차 수정 및 무단 재배포 금지합니다. Modify NO. Commercial Use NO. DO NOT cut or remove the logo. Please reproduced with full credit. 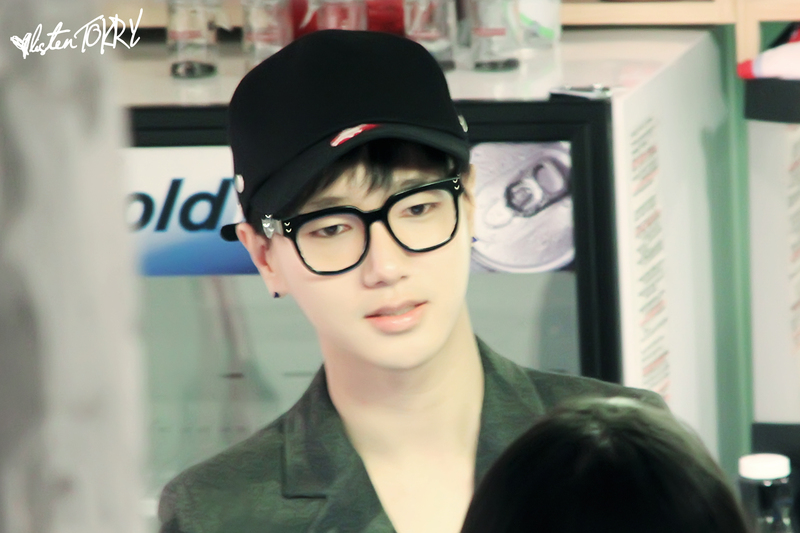 A Korean couple was ordering before me, a woman seemed to be a kind of his fan. 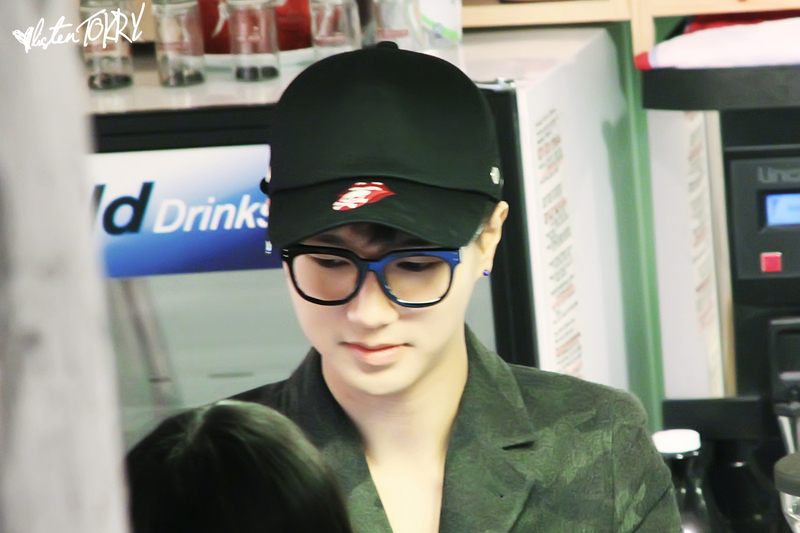 After they ordered from yesung , a man put his hand on her waist, and they closed to each other next to the counter. 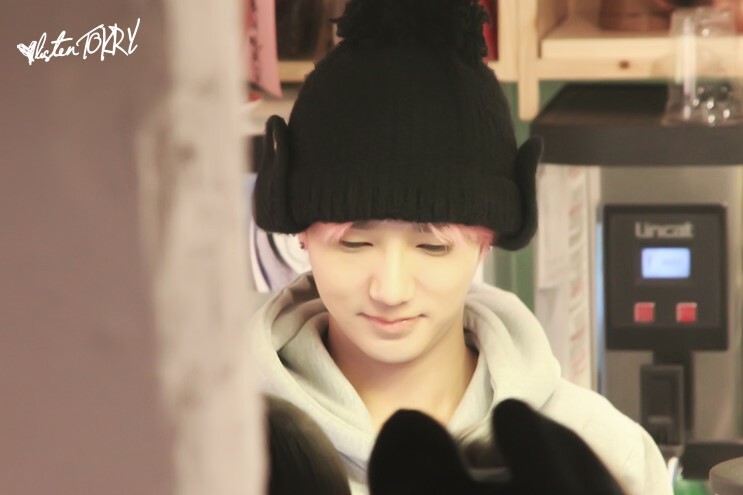 Yesung kept looking at man’s hand with narrow sharp eyes, and bitter expressions. It’s the same reaction when I see a couple in the town. I couldnt stop smiling to see it ! Hahaha. The building next to Mobit is gone. They are doing a lot of construction there. Even the walkway is being worked on (girls in heels, be careful!) I asked Yedad what will be put in the spot next door and he said “parking lot” in English. We were ohhing over his English and he was proud that he said the right words ㅋㅋㅋ so cute.